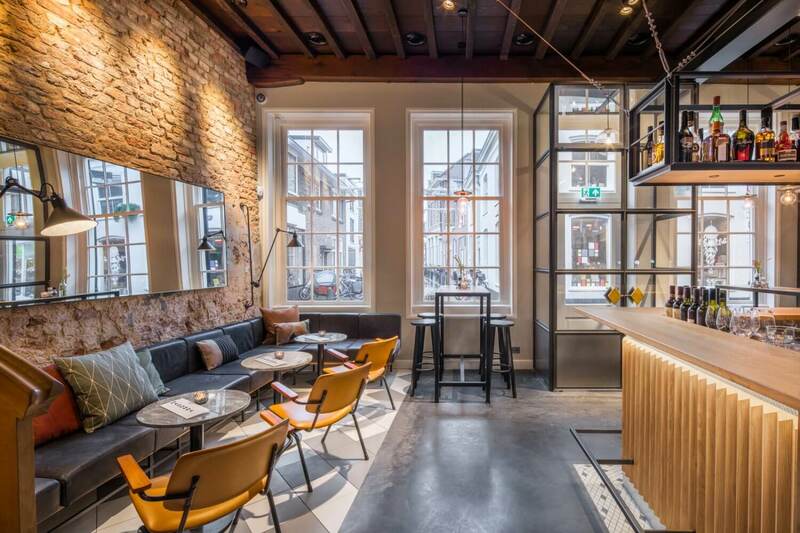 In the nicest street of Amersfoort, the Krommestraat, Standard Studio has designed restaurant, bar and deli Madonna. 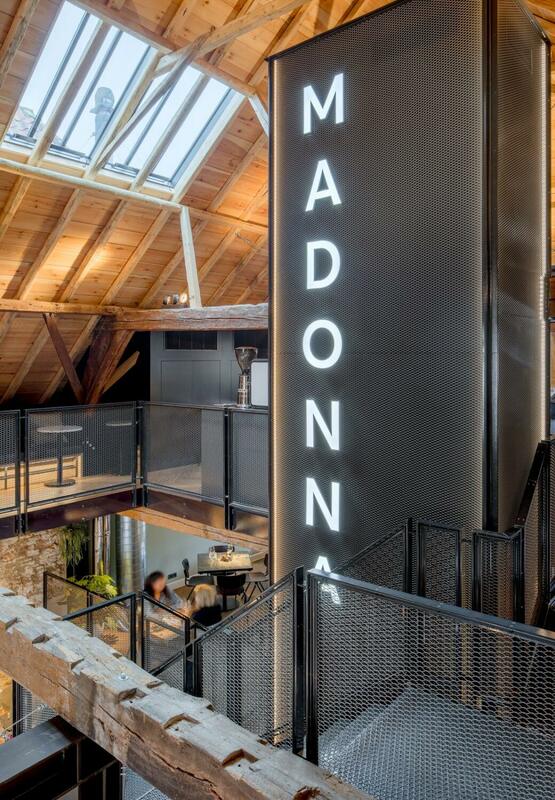 Madonna is designed as an all-day restaurant where you are invited for breakfast, lunch, dinner and of course drinks. 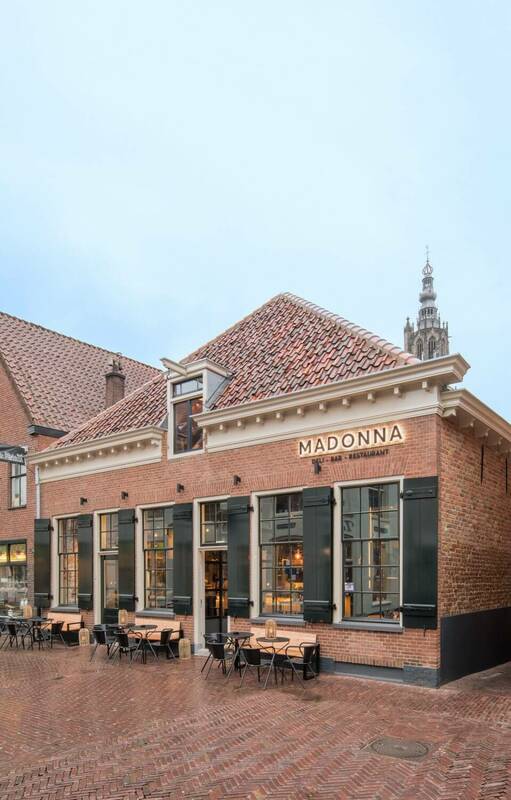 Madonna is located in a historic building built in the 16th century which is completely restored by the client van de Burgt en Strooij. 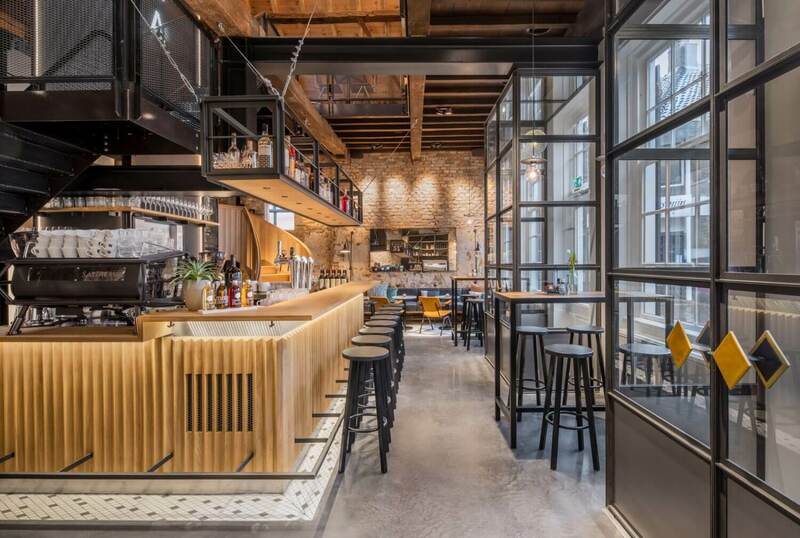 Amersfoort is a vibrant growing city but where until now no restaurant with a metropolitan style has been established. 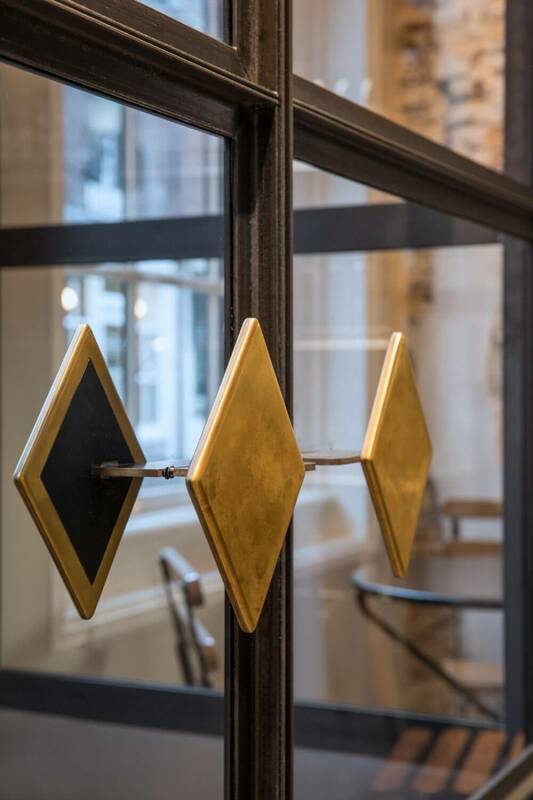 After more than 100 years of service as a store, the historic building was thoroughly dedicated for a complete restoration, and this also created the opportunity to give it a new purpose. 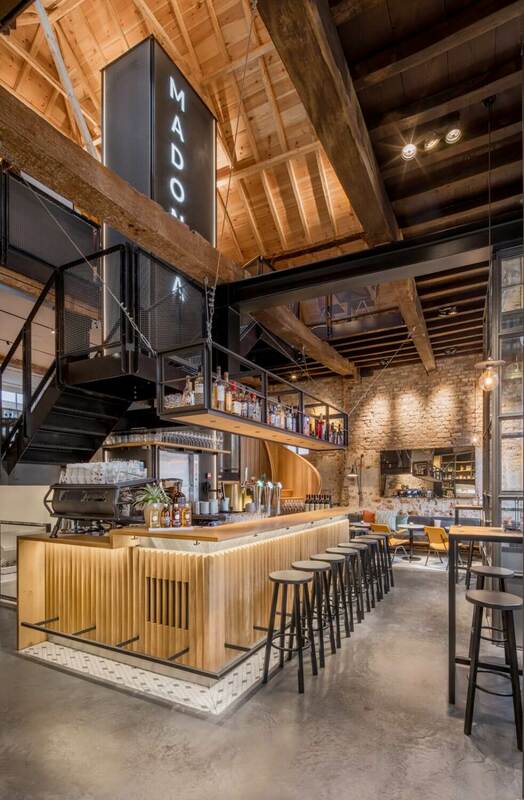 The building is characterized by a single storey facade and roof from the outside, while inside the interior consists out of 4 split level floors. 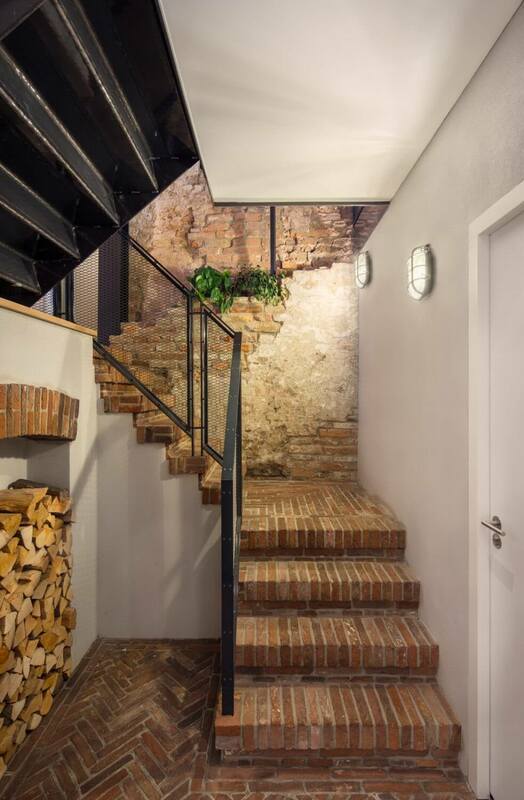 To preserve the historical context as much as possible, Standard Studio’s strategy has been to stay away of all external old walls. 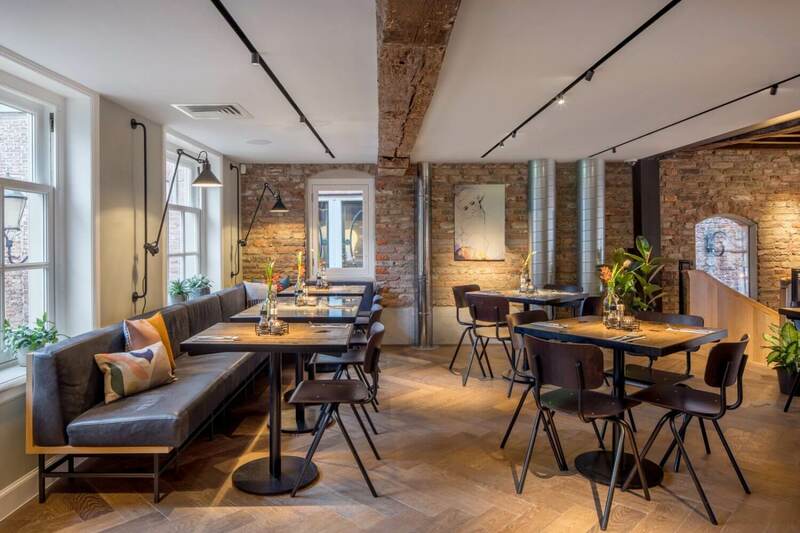 Instead they introduced one new core in the middle of the space which arranged the location of the bars and stairs, thus opening up the space of the restaurant. 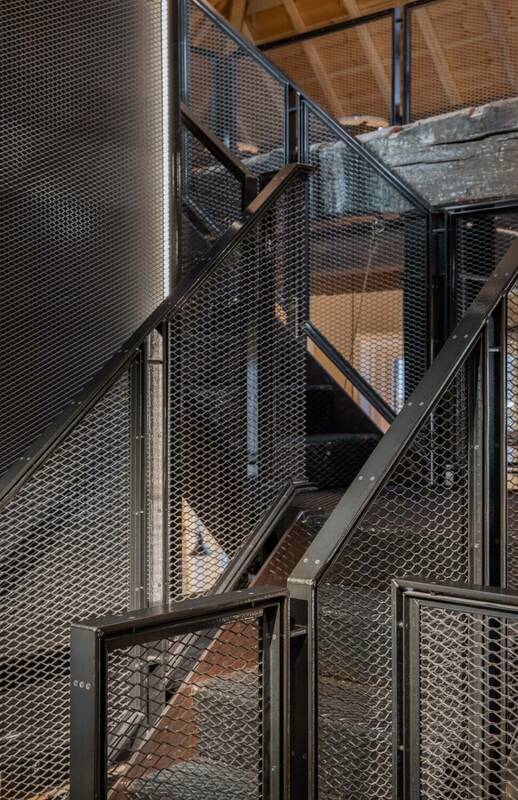 Central to the core is the goods elevator which is covered with an illuminated steel mesh. Around the core, bars and cutlery stations are located on all levels. The stairs around the core connect all split level floors. The void connects the imposing roof with the underlying floors creating countless lines of sight within the interior. 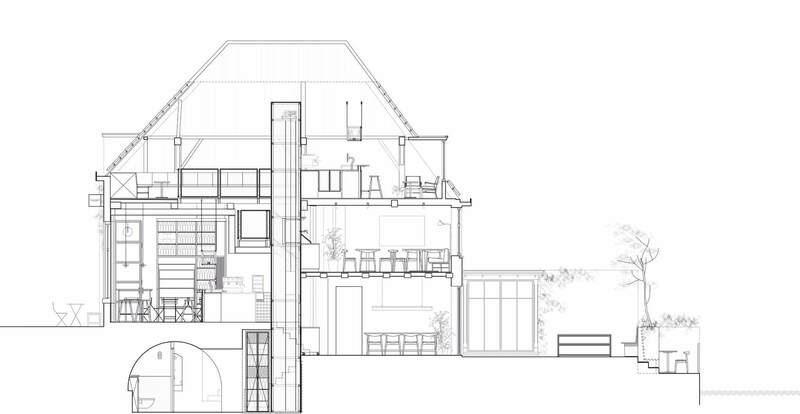 This benefits the social interaction within the space and gives a good scale to the interior. 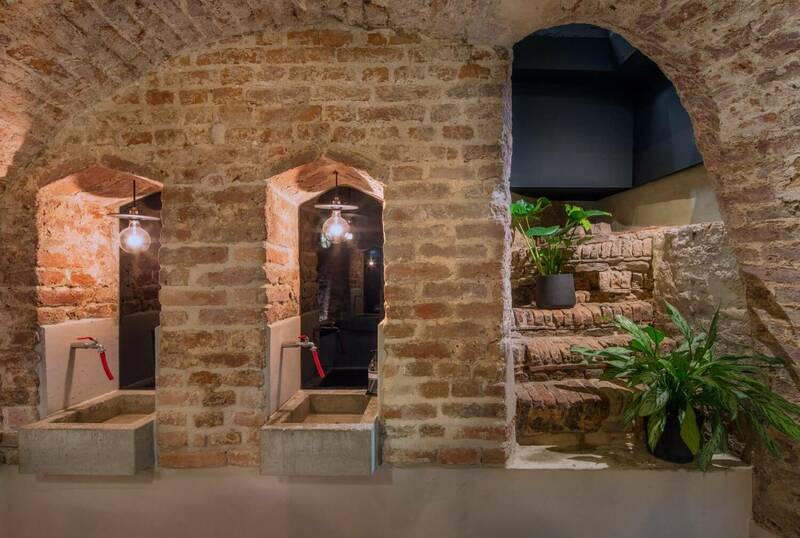 The entire interior has an industrial character which is designed with respect for the historic building. 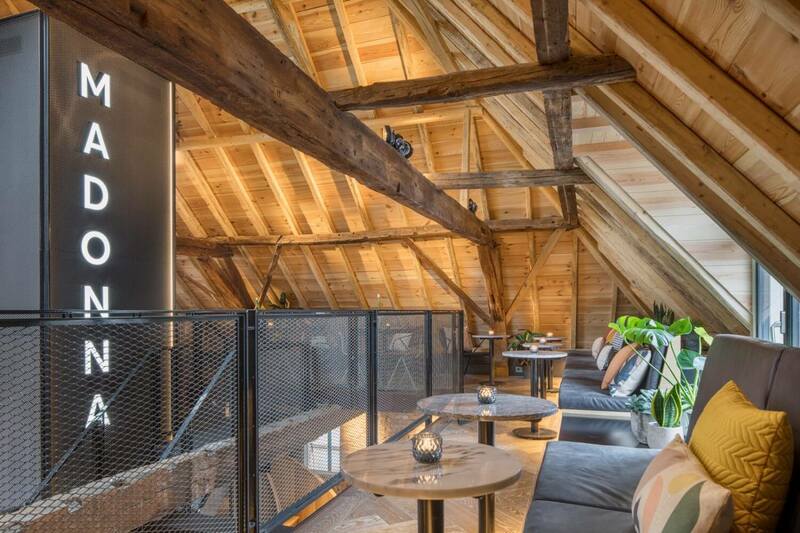 The contractor van de Burgt en Strooij has seized the opportunity to restore the building in such a way that it has now become energy neutral.